Nancy Richardson, center, with students in her “Pathways in Post-Production” class. For four Monday evenings—including one class that started at midnight—over a dozen UCLA film students left Westwood and crowded into the editing and color timing bays at a post-production facility in Hollywood. There, they got real-life experience of shepherding a short film, produced specifically for this purpose, through a variety of different post-production workflows. The course, “Pathways in Post-Production,” just concluded in mid-December. 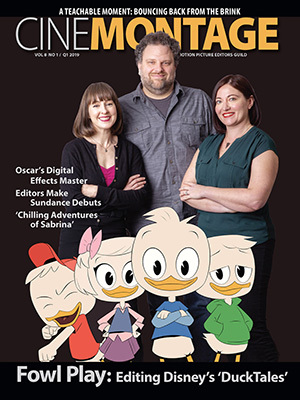 It is the brainchild of editor Nancy Richardson, ACE, who juggles two full-time jobs––as an editor (Stand and Deliver, Selena, Thirteen, Lords of Dogtown) and faculty member of UCLA’s School of Theatre, Film and Television, where she is associate professor. A member of the Editors Guild’s Board of Directors, Richardson is a graduate of University of California Berkeley and received her MFA from UCLA’s film department. Richardson noticed that her students were frequently asking what they thought were “quick questions” regarding post. “And I realized there wasn’t really a quick answer,” she says. 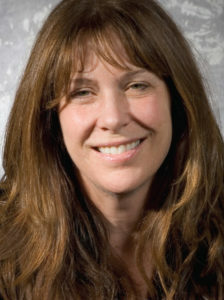 “Students were asking for a class just in post-production, to explain their choices and the ways to go.” In putting together the curriculum, Richardson found herself describing it to Robert Hoffman, a visiting assistant professor at UCLA’s film school and vice president of marketing and public relations for Technicolor, who immediately suggested utilizing the services of a local post-production facility. For the debut course last year, the class worked on a commercial for a dating service, targeted to run on mobile phones. This year, Richardson wrote a short comedic screenplay, Shift, which plays on the very different perceptions of a young man and woman in a relationship. The class members all took a part—sometimes more than one part––in producing the project––including acting the roles of the short’s two characters. 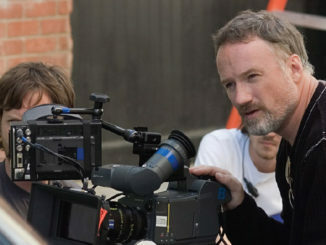 The first year’s project was shot in three formats: Super-16, 24p with the Panasonic DVX-100a, and 30 fps with an HDV camera. Shift was shot two different ways: in Super-16 and in DVCPRO HD on Panasonic HVX200 Camera. The Pana-sonic camera records HD DVCPRO50 and DV video to solid-state P2 flash media card, with variable frame rate recording in 720p mode. 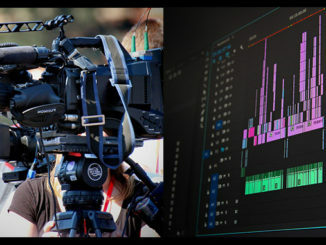 The students were immediately plunged into the realities of post-production, with the first class focusing on dailies transfer at a midnight telecine session. “I told them I couldn’t really require them to come to a class at midnight, but they were all there,” she said. After the students finished the offline edit, Richardson had them put together the edit decision list (EDL) for the post facility, including communicating with its producer to determine the requirements for the list. Anxious that they had pulled off the EDL properly, students came to the second class to see how they had done. Editor Mike Canterbury gave them a thumbs-up, noting that there were mistakes but they weren’t huge. This class focused on conforming both the high definition and the 2K data, both originating from the Super-16 footage. 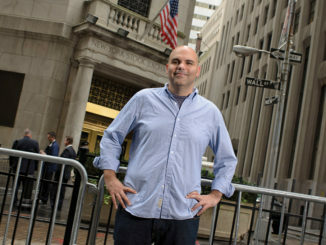 Prior to class, the editor imported the footage into his Autodesk Discreet Fire workstation, which he described to the students as a real-time-based 2K editing system. The students were walked through the features of Fire and told that it does a B-roll assembly––not in order of the EDL but in order of where the events are on the tape. Next came the dust-busting, where they learned the difference between white specks (introduced in the negative) and black specks (introduced in the printing process), and the similarity of dust-busting to tools found in Adobe Photoshop. Next, the 2K scans were conformed from the Super-16 footage and the students immediately noticed the milky, washed-out color. It was explained to them that the logarithmic color space gave a much fuller color range, but that the process of conforming was the same. The students were immediately plunged into the realities of post-production, with the first class focusing on dailies transfer at a midnight telecine session. As Richardson sees it, the class not only provides many answers to a long list of the students’ “short” questions, but enables them to map out workflow for their own film projects. “I am most interested in them learning, understanding and being able to budget their next film in post-production,” she explains. “They’ll know the processes of going to a post house, having to turn over a list, talking to the post house in advance of how they want that list to be, and figuring out where they’ll mix in the process and how they’ll eventually end up mastering. That’s a lesson, Richardson believes, that all editors might want to learn. “As editors, we want to think our assistants will take care of the technical stuff––but that’s becoming less and less of a possibility.